At the beginning of 2017 it became clear that some questionable website authentication certificates had been issued by affiliates of Symantec Corporation. Google announced a process by which trust in the questionable certificates would be revoked. Sites such as our digital.newint.com.au magazine site followed the recommended guidelines, but in the end needed to gain security certification from an alternative certifier. That’s been done, but the old untrusted certificates are still cached in some browsers. If you’re using the Chrome browser, here’s what to do to fix the problem by clearing the cached old certificate. Scroll right down to the bottom of that page. Open the full History window in Firefox with the keyboard shortcut Ctrl + Shift + H (Cmd + Shift + H on Mac). You must use this window or the sidebar for the below options to be available. Find the site you want to delete the HSTS settings for – digital.newint.com.au – you can search for the site at the upper right if needed. Right-click the site from the list of items and click Forget About This Site.This should clear the HSTS settings (and other cache data) for that domain. Restart Firefox and visit the site. 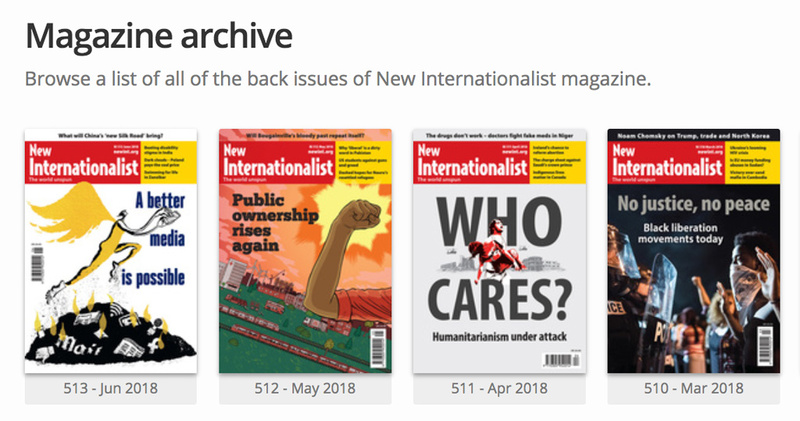 You should now be able access https://digital.newint.com.au again. This entry was posted in Independent media and tagged independent media, New Internationalist magazine by Brian Loffler. Bookmark the permalink. Brian Loffler is a member of the New Internationalist Co-op in Adelaide, where he's been involved since 1981. He works mostly on expanding the supporter network in Australia for the New Internationalist's independent journalism and fair trade campaigns.